From the hustle and bustle of its creative capital to the soothing silence of the deserts and their century-old nomadic tribes, Jordan offers an adventureland as diverse in its culture as it is in its landscapes—one that will impress even the most seasoned of travelers. On this eight-night luxury trip, you’ll trace ancient civilisations, live like a Bedouin and discover Amman’s new creative groove. We’ll show you the unique personality of Jordan: a fascinating country and a melting pot of history and culture, where modern life and century-old tradition live side by side. Follow our lead and we’ll take you on a tailor-made cultural odyssey through Jordan that will leave you with a real taste of the country. 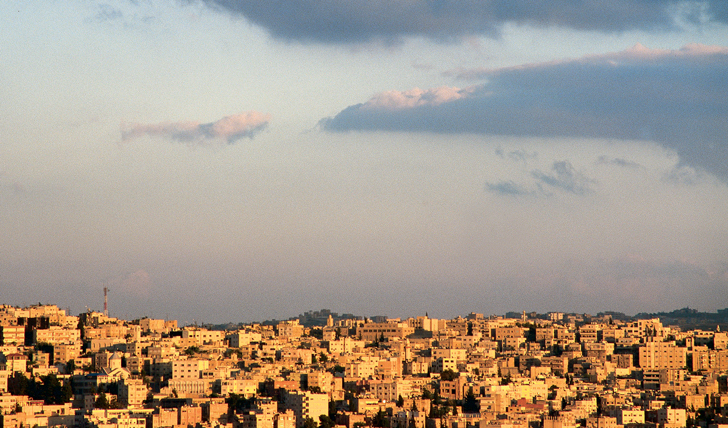 Begin your epic cultural adventure in Amman, Jordan’s bustling capital city. The city is famed for its stark contrasts of ancient monuments and hip urban sprawl, in what is a thriving and buzzing capital city. Here you’ll be staying at the beautiful Four Seasons Hotel, which offers panoramic views of the cityscape from the heights of its luxurious rooms. Expect quiet elegance and lavish comforts, whilst being in a prime location for stepping out into the city. Why not stroll along Rainbow Street, the city’s famed café and restaurant scene favored by the creative crowds. Or try the art galleries of Weibdeh for a contemporary culture hit. For a final Amman experience that will stoke your culinary fires for a lifetime, you’ll be treated to an exclusive cooking class to learn the ins and outs of Jordanian cuisine. Start by practising your bargain banter in the old spice markets and souks as you store for ingredients which are for a feast for the senses full of, the smells and the sizzling sounds of street food—a memorable place indeed. Then it’s into the kitchen. With each dish made for sharing, dining here is a very sociable affair so expect heaps of hospitality and lots of lip-smacking treats. Get stuck into traditional dishes at breakfast, lunch or dinner classes, including favorites like Hummus and Muhammara, a hot pepper dip, Moutabal, a roasted, pureed potato or eggplant dish, and Kibbeh Maaliyeh, a minced meat dish. You’ll soon learn everything you need to know about Jordanian culinary culture. After a refreshing night’s sleep, you’ll be ready to leave the sun-baked city behind to journey further north, through a changing landscape of green and fertile country. We could stop off on your way at the Carakale Brewery, to taste some of Jordan’s first craft beers. 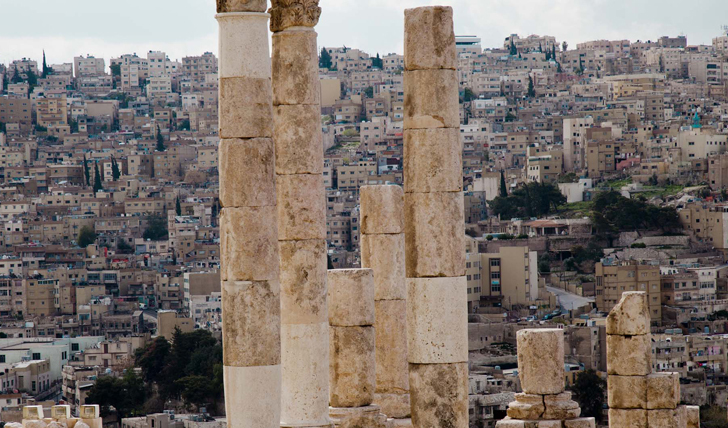 Eventually, you’ll arrive at the ancient city of Jerash, considered by many to be the best preserved Roman City in the world. With an expert guide to lead you through its collonaded streets, temples, theaters, public baths and plazas, you’ll be in the best possible company to discover the city’s historical secrets. Today you’ll be catching a flight to Aqaba, Jordan’s only coastal city on the edge of the Red Sea, an ideal base for exploring the many natural wonders of southern Jordan, including the underwater life. Spend the day on a private boat and listen to seafaring tales as you delve shipwrecks and coral gardens. Then, it’s off to another world altogether. Also known as ‘the valley of the moon’, Wadi Rum is a breathtakingly vast valley of smooth, swooping monolithic rockscapes. Explore these ancient petroglyphs and the beautiful, natural rock formations on a one hour Jeep safari. Continue your Lawrence of Arabia fantasy by staying at a luxury Bedouin camp at the foot of Wadi Rum, where you’ll be perfectly placed to appreciate its quiet and mysterious majesty by night. Meals at the camp are prepared on open fires and eaten al-fresco under a canopy of stars. In the evenings, stretch out, sip some tea and take a puff of the Argilla by the wood fire and take it all in. After a good night’s rest you’re in charge of the tempo- take it easy or sweat it out with some desert activities such as jeep tours, hiking, or grab another camel for round two. Next, you’re bound for Wadi Musa, the home of Petra. Arriving late in the evening, you’ll have the opportunity to take part in Petra by Night performance. Walk in silence through the candlelit Siq until reaching the Treasury, where you’ll be served tea whilst listening to the music and stories of the very people who inhabited the rocky landscape for years: a spellbinding experience. Having glimpsed Petra by glowing candlelight, you’ll return the next morning for a more in-depth exploration, accompanied by a local guide. Inhabited since prehistoric times, this Nabataean caravan-city was once an important crossroads between Arabia, Egypt and Syria-Phoenicia. Petra is one of the world’s most mysterious ancient cities, whose engineering mastery, purpose and inhabitants have puzzled archaeologists and historians for years – and still holds many unlocked secrets. It’s most magnificent and iconic feature, the Kazneh, is sure to take your breath away. The day is not yet over either as next you’ll be traveling to ‘Little Petra’, what is thought to have been an important suburb of Petra. On arrival, you’ll be treated to a BBQ under the stars, the perfect place to recount your day’s adventures with fellow travelers. Today, you’ll jet off to the Dead Sea where you’ll be staying in luxurious accommodations at the Kempinski Hotel. This little oasis of bamboo palms, olive trees and green lagoons, waterfalls and private pools is a refreshing respite from the dry desert heat and is conveniently located at the edge of the Dead Sea. The ancient castles of Shobak and Karak are to be found nearby and make for a fascinating a stopover if you fancy indulging in a little historical know-how. Your last day in Jordan is left free to make the most of Dead Sea—which we can assure you will be like nothing you’ve ever experienced, offering a surreal floating experience in its hypersaline waters. Slather yourself in therapeutic mud, sunbathe and enjoy this natural phenomenon. A great end to a great cultural odyssey.